Open to discussing flexible working arrangements at the interview stage? Brown-Forman is an American owned and publicly listed (NYSE) company, which produces and markets some of the world’s leading liquor brands. Founded in 1870, the company has grown its brand portfolio, selling more than 30 brands in over 160 countries. Some of these brands include, Jack Daniels, Finlandia, Chambord, Jägermeister, El Jimador, Old Forester, Woodford Reserve and Herradura. Headquartered in Louisville, Kentucky, Brown-Forman employs over 4,500 people, with more than 40 locations around the world. Our Australian team of 150 people, work in regional and city locations throughout the country, with offices in Sydney (Head Office), Melbourne, Brisbane and Perth. 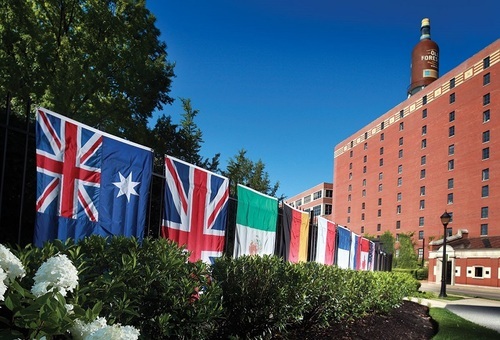 Brown-Forman has a unique culture based on heritage, tradition and stewardship of our brands. Our core values of integrity, respect, trust, teamwork and excellence shape our corporate vision and the way we interact with our customers. The Australian team are a progressive, forward thinking and collaborative group of people who contribute to the global Brown-Forman vision of building brands forever. Recently we have placed as finalists for the Australia Human Resources Institute 2017 Awards for LGBTI and Workplace Inclusion. We also have employee representatives on the Australian Women in Drinks Council. Brown-Forman places significant importance on Diversity and Inclusion (D&I) in the workplace. Our global goals begin with the Chief Diversity Officer, who is part of the global Executive Leadership Team. Our vision is to create an environment where leveraging diversity and inclusion occurs naturally in the pursuit of organisational objectives. Our mission is to create an inclusive culture that values diversity and encourages trust, openness and mutual support in order to build high performing teams comprised of diverse skills, cultures and experiences; demonstrate diversity and inclusion leadership across our business; and be recognized both internally and externally as one of the best places to work. More widely D&I initiatives permeate many of our activities throughout the world. Whether it be in talent acquisition, building relationships with new and existing customers or supporting staff through our Employee Resource Groups (ERGs). ERGs form an essential part of D&I at Brown-Forman. These groups are employee driven and membership helps to build community and advocacy within the business. We have three core ERGs, including Young Professionals (Youth and Leadership Development), PRIDE (LGBTI & Equality) and GROW (Female Advocacy). All groups hold regular meetings and events for the benefit of members and the wider business. 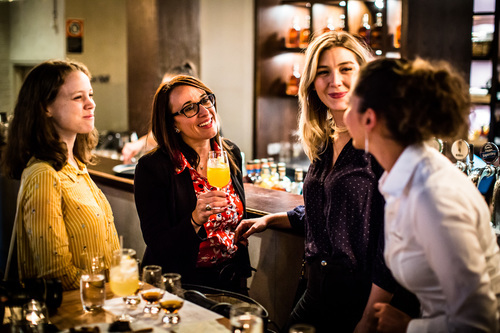 The Young Professionals ERG seeks to strengthen Brown-Forman by engaging, connecting, and fostering the growth and development of young professional employees. By creating this network we will help Brown-Forman, our brands, customers and partners better understand, retain and reach 21-34 year-olds. PRIDE supports Brown-Forman diversity and inclusion initiatives by providing a visible, public face to LGBTI employees within Brown-Forman, by assisting in recruiting and retaining employees, by engaging brand teams interested in LGBTI marketing, and by stimulating education and awareness of the importance and value of diversity in the workplace. It is also a valued resource for any and all employees with interest in LGBTI and Equality topics. 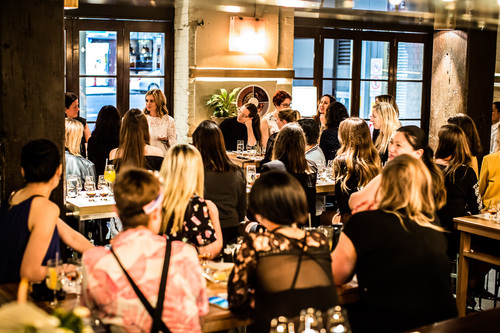 GROW (Growing Remarkable & Outstanding Women) is dedicated to providing tools, education, and a clear perspective for women as they work to achieve their desired potential within the organisation. Through skill building, mentoring, and information sharing workshops, GROW will leverage opportunities to showcase Brown-Forman as a desirable place for women to work.